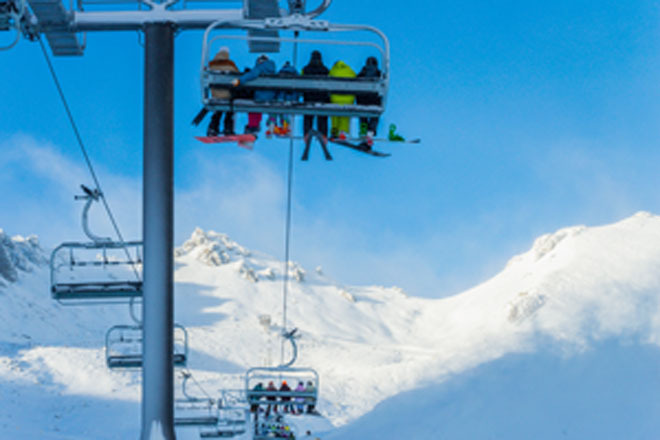 Winter arrived in style at The Remarkables ski area in Queenstown today (Thursday July 3) — with plenty of bubbles to christen a new lift, and fresh, dry powder putting a big ‘smile on the dial’ for all. Camping out in his car from 6pm the night before paid dividends for Australian snowboarder Brad Markey, on his fourth winter season in Queenstown. He was first in line for a ‘First on the Chair’ T-shirt along with five others, saying he was “super excited” to get first tracks on the Curvey trail. “I planned to be here from the moment I heard Curvey was being built,” he said. “It was definitely worth the cold night”. 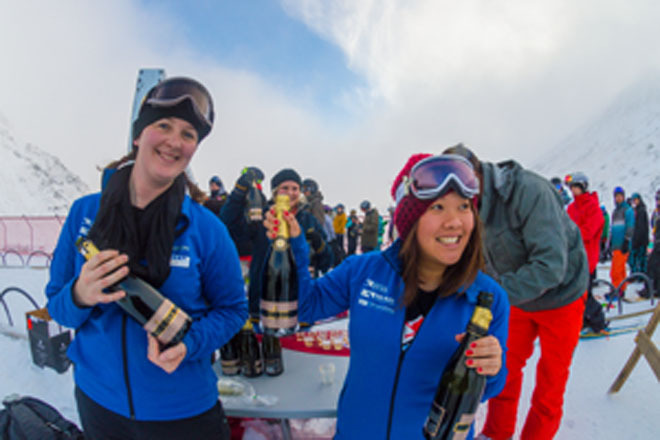 Enjoying up to 85cm of packed powder on all trails, around 200 people queued for the opening of Curvey, enjoying a celebratory glass of Amisfield bubbles as they did so, and around 1700 skiers and snowboarders had headed up the mountain by lunchtime. As conditions ranged from snow showers to blue skies, ski area manager Ross Lawrence was a happy man. “What an amazing morning, with light snow falling as we pushed the button for the new chair and people all over the main basin and Sugar Bowl loving the new groomed trails. The snow is just extraordinary,” he said. “People are impressed with the speed of the chair, the new trails layout and loving the new run. Winter has well and truly arrived thanks to natural falls over the past few days, including last night, and snow guns blazing night and day. 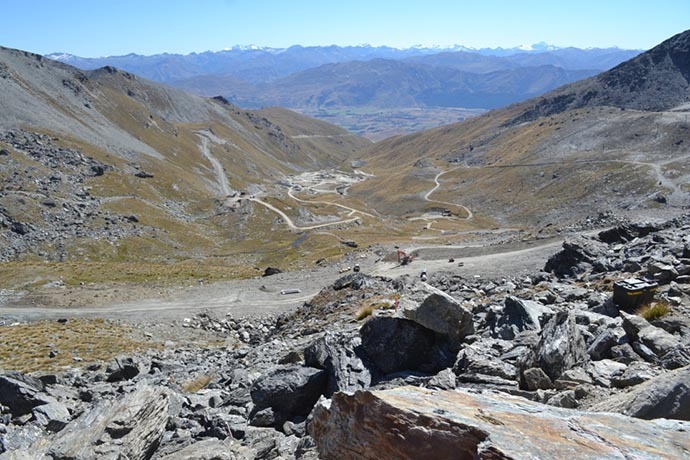 Conditions are being updated regularly on The Remarkables snow report and through Facebook. 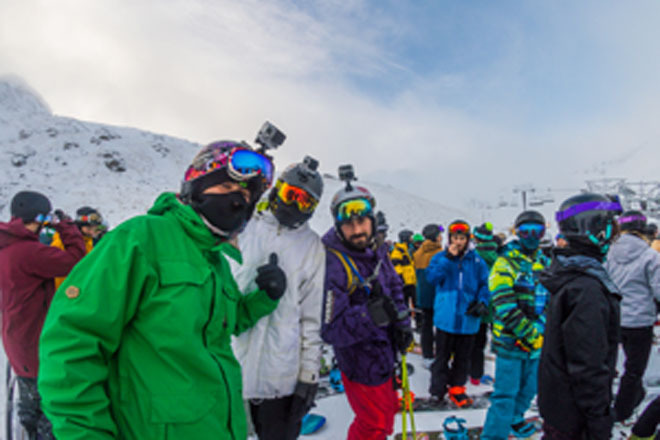 All base building facilities are open from today, including F&B, rentals, ski school, childcare facilities and return transport from the downtown Queenstown Snow Centre. Most men will find, however, that the effects Ersatz für viagra rezeptfrei of the pill.